I’m geographically challenged. I’ve never been really good at directions, and I’ve taken a few wrongs turns since moving to K’Town. It’s not uncommon for me to make a quick call to the hubs to ask him where I turn or help me figure out my exact location. The north, south, east, west thing tends to elude me unless I can see the sun rising or setting. Roads look the same, especially if you don’t pay attention to their names. All I can say is thank God for Siri and her geographic gifts. 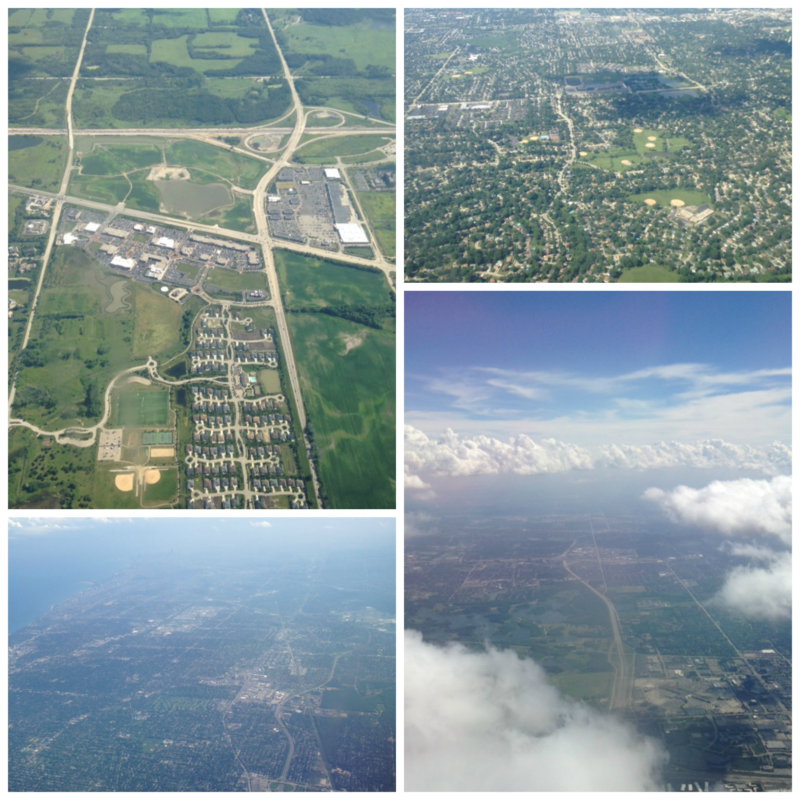 Recently, I flew to Michigan for the weekend. While thousands of feet in the air, I noticed how the road systems below seemed to make perfect sense. A web of complicated weavings, yet I could easily determine how I could get from point A to point B. In fact, many routes from A to B seemed very clear. My bird’s eye view cleared the ground view fog that often kept me from making “right” turns. As gravity’s captive, I can only see roads just ahead of me; unfortunately, those roads can look the same or sometimes aren’t very well-lit. Other times, I encounter dirt roads with few travelers. While Siri is no god, her guiding voice reminds me of how God speaks to us on our life journey. He tells us to turn, yet we don’t trust His directions. We argue with Him: I can’t turn here God; it doesn’t make any sense. Wait, God, that road is scary and dark. That can’t be the right way. We must remember that God has the Big Picture View. He sees how each road connects, the distance to travel from Point A to B, and how more than one route will get us where we need to go. He will provide light on those dimly lit streets and an angel to help us when we get a flat on a deserted dirt road. While Siri croons out directions with confidence, she can steer us wrong based on faulty information. However, God’s directions never send us off course. He speaks with confidence and our only job is to trust and turn as He instructs. Following His directions is the perfect cure for those of us who are geographically challenged. This entry was posted in Spiritual Encouragement on August 17, 2015 by aliciachall28.